First day of the study tour component of this new program. It was a VERY hot day, and the new arrivals were of course still jet lagged and not yet acclimatized. Our main problem today was heat & humidity, our main asset, very extensive experience. 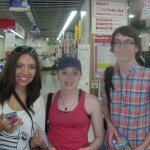 We took the train to Nagoya (the nearest mega-city, 30 minutes away), and then headed to the nearest large air-conditioned facility – the huge electronics store (“Bic Camera”) near JR Nagoya, which is one of the 10 busiest train stations in the world. 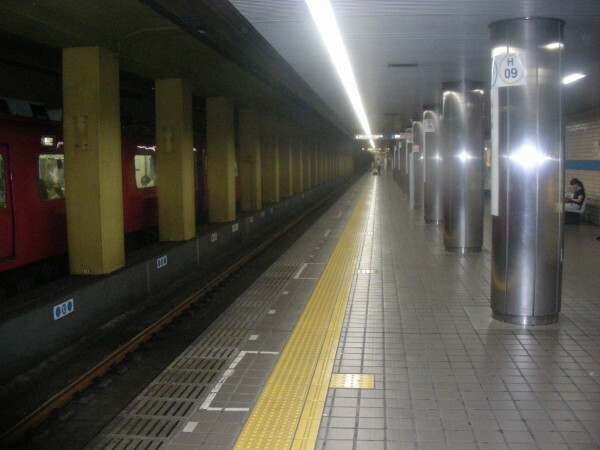 (Our return later was during rush hour, so by the time we reach Tokyo’s Shinjuku station on August 4th, they will be ready for the world’s busiest station). They are used to the trains and ticketing now, next step is Suica cards (more about that later). Our next destination on the schedule was via subway. 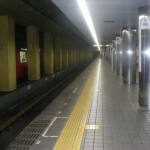 We missed the train by a few seconds, (hence the rare chance to take a photo of an empty platform) to Osu Kannon and the Osu arcades. 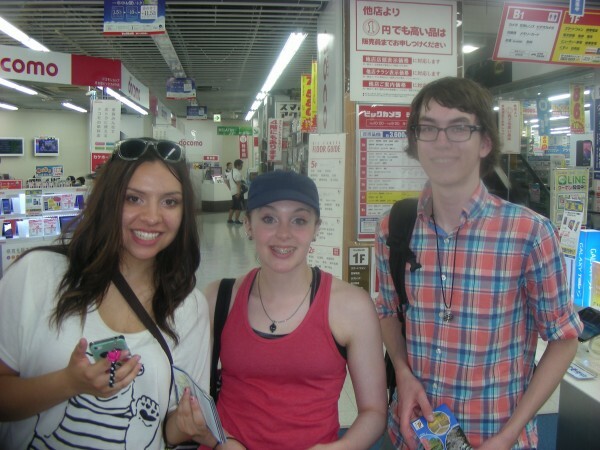 On arrival in Osu, we took a break at the nearest convenience store for drinks and so forth, but on our way from the station area we quickly noticed that the students were physically discomforted and suffering from the heat. 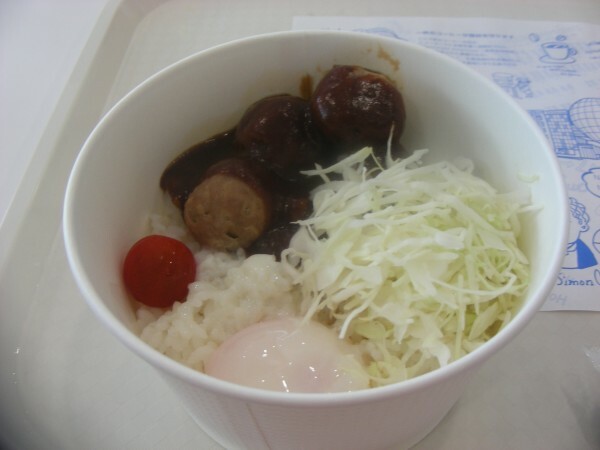 Combined with tiredness that means a potential health risk. So for safety and duty of care reasons, immediately changed plans and within 10 minutes moved to the cafe/restaurant at the nearby Nagoya Science Museum for a cool down and some further re-hydration. 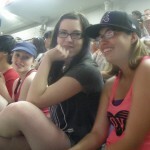 We were probably being overly cautious, as everyone was OK, but it just wasn’t worth risking any issues of heat stroke. 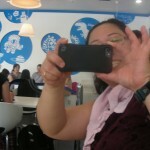 As a result lunch wasn’t quite as good as originally planned, but water and air-conditioning was essential. We will eat better next week. 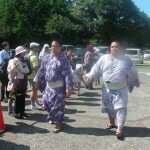 From Nagoya’s Fushimi, we headed to the Sumo Basho. Day 13 of the 15 day tournament, it was fantastic. 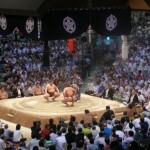 We were helped out by Mr Roger Huff, a former US Navy pilot with a keen eye for Sumo, who kindly volunteered to help with the tickets and explanations of some of the finer details of the Nagoya Basho and Sumo in general. A big thank you to Roger. He ran everything as smoothly as a Navy flight plan. 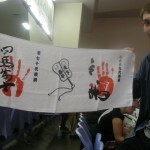 We watched a few of the wrestlers arrive (via taxi), but as it was so hot outside, retreated indoors. Ahhhh…. the wonderful engineering that is air-conditioning. Found some pretty good seats. Good for watching the wrestling bouts, and good for people watching. 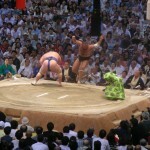 The Nagoya Basho, a Honbasho, traditionally takes place in summer. 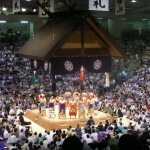 Three of the six Honbasho held each year are in Tokyo, and summer is Aichi’s opportunity to enjoy some Sumo magic. 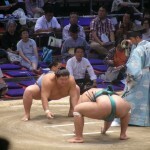 The official “Summer Basho” is held in Tokyo in May, for reasons probably best left unexplained. 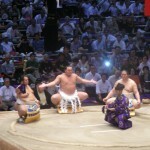 The other two Honbasho are held in Osaka and Fukuoka. 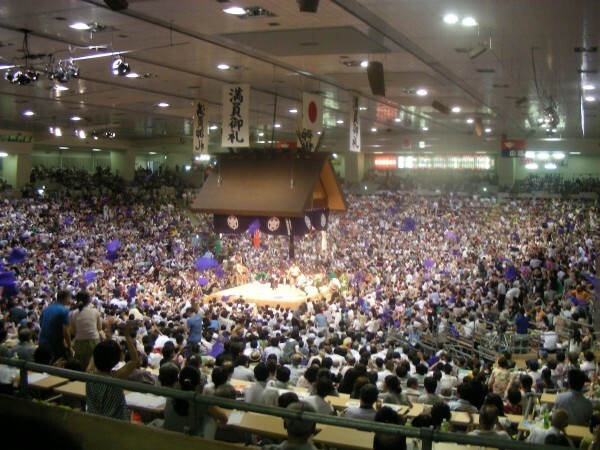 The Sumo Basho takes place in the Aichi Prefectural Gymnasium which is inside the historic precinct that is Nagoya Castle, a massive fortification built in the early 17th century, and destroyed during the fire bombings of 1945. The bridge between the station and the gymnasium crosses the castle moat. The seating in the gymnasium is modified specifically for the tournament via some pretty skillfully assembled scaffolding, and is interesting in itself. Unless you look really carefully, it would be easy to think that everything was permanent. Brilliantly done. By the final bouts of the day, it was a full house. 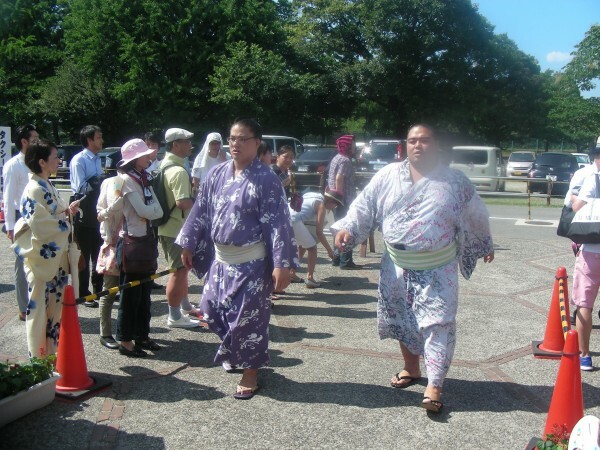 It was also great to finally meet the great Musashimaru, as he was in front of us when we were buying ice cream. If only we had a camera. Take a guess as to what he was buying! 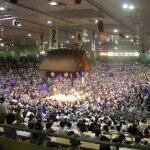 Towards the end as the higher ranked wrestlers appeared, we were surrounded by wonderfully noisy and knowledgeable fans, a great atmosphere, and when the top Yokozuna was defeated (only his second loss in this tournament), the crowd threw their cushions into the air as part of the traditional celebration. It was a great day. The students who participated in the Study Component of the program have been given homework for the weekend. 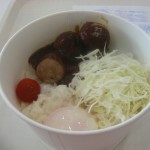 Unit 11 of the Kanji workbook. Test/review on Monday of course. All students will spend the weekend with their host families.